Pick Burell Built Exteriors for all your roof repair and replacement needs in Gilmer County, GA! From residential roof repair to major commercial replacements, our talented roofers do it all. For friendly service from a roofing company in Gilmer County, GA, call (865) 385-6926 today. Our roofers are proud to specialize in many roofing techniques and materials for your home or commercial building. No matter what problem your roof is experiencing, we will use our years of roofing knowledge to quickly address and fix the issue. We also provide emergency roof repair, so call our team at (865) 385-6926 anytime, 24/7, for help! 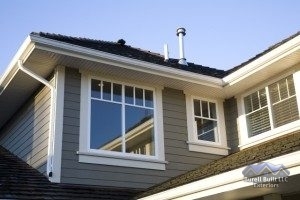 We also repair other parts of your roof system and home exterior, including gutters, siding, and more. Our roofing company in Gilmer County, GA is here to help with whatever you need when it comes to roof repair!